The attorneys general of 39 states urged Congress Monday to reject a U.S. military request for exemptions from environmental laws. Colorado Attorney General Ken Salazar said there is no evidence that the three requested changes would aid training or the movement of tanks and weapons, as the military claims. Among other changes, the Pentagon wants to ease the Clean Air Act regarding air pollution from training exercises. It also wants changes in toxic waste laws to let the military avoid cleaning up pollution from munitions used on training ranges. Salazar said the Defense Department can already get waivers from the laws. He said if Congress adopts more changes, it could limit state authority over the investigation and cleanup of munitions-related contamination on 24 million acres of military land. Susan LeFever, director of the Sierra Club's Rocky Mountain chapter, said the military is using concern over national security to get around pollution laws. The attorneys general said 40 military installations have tested positive for perchlorate used in rocket fuel and for various explosives. 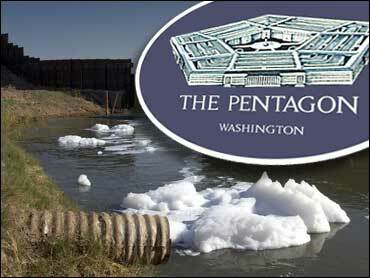 Reached late Monday, a Pentagon spokeswoman referred questions to a statement on the Pentagon Web site, which says the military wants Congress to clarify that environmental laws cannot be used to close testing and training ranges. "These ranges have specifically been set aside for the purpose to train our military and to test our weapon systems," Deputy Undersecretary Paul Mayberry says on the site. "Past court cases have threatened to close down our military training, and that readiness risk is unacceptable whether we are a nation at war or a nation preparing for war." Salazar's spokesman, Ken Lane, said Colorado, Idaho, Washington and Utah launched the campaign against easing environmental restrictions four years ago and other states have signed on. He said 11 states did not participate: Some missed deadlines, while others, like Tennessee, did not agree with the protest. The Pentagon first sent a wish-list of eight proposals to Congress in 2002. Congress passed three of the items that year and two the next, exempting the Defense Department from parts of the Migratory Bird Treaty Act, the Endangered Species Act and the Marine Mammal Protection Act. The Pentagon says its latest proposals "would confirm — not change — the regulatory policy of the last two administrations and a majority of the states." According to the EPA, sometimes military training activities have been suspended to allow testing that has revealed significant problems. In 1997, training was halted at Massachusetts' Camp Edwards. "It was the first time in our country's history that military training activities had been halted due to environmental and public health concerns," the EPA says. "The groundwater study, which is ongoing, has produced evidence of serious groundwater and soil contamination from training with munitions, from unexploded ordnance and from disposal of munitions and other hazardous materials." At least 90 military bases are on the Superfund list of contaminated sites, from Lackland Air Force Base in Texas to Glasgow Air Force Base in Montana.